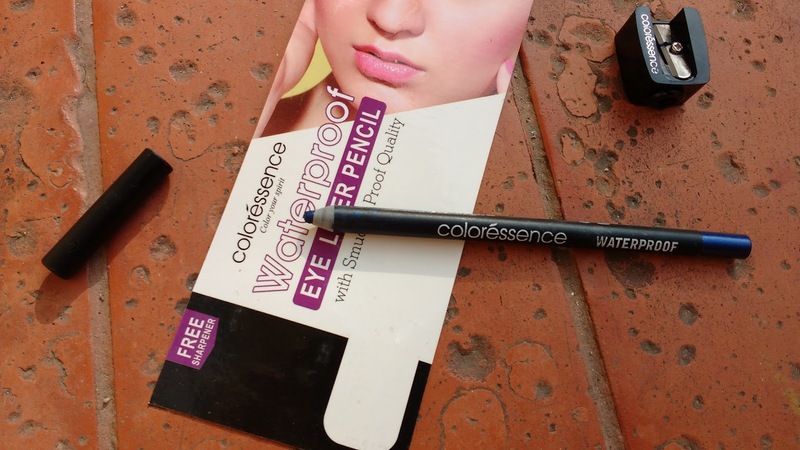 This eye liner pencil from Coloressence comes in a wooden sharpen able pencil form with a plastic cap which fits pretty tight. The base of the pencil is dark blue coloured so you can easily locate it from your stash and there is a free sharpener which sharpens the pencil nicely. The pencil and sharpener is packaged in a plastic and cardboard packing which has all necessary details printed on it. Overall packaging is sleek and travel friendly but there will be product wastage when sharpened. 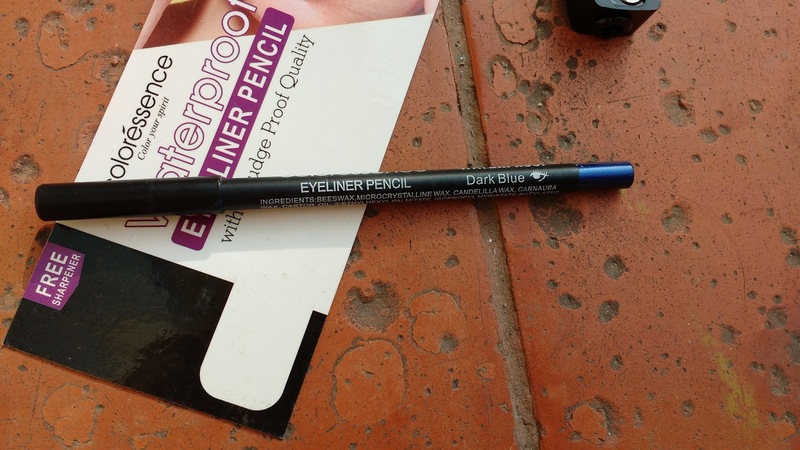 Coloressence Eyeliner Pencil in dark blue is a nice midnight blue with a metallic sheen to it . The texture is soft but not very creamy and it takes a bit of effort to line close to my lashes because of its consistency. 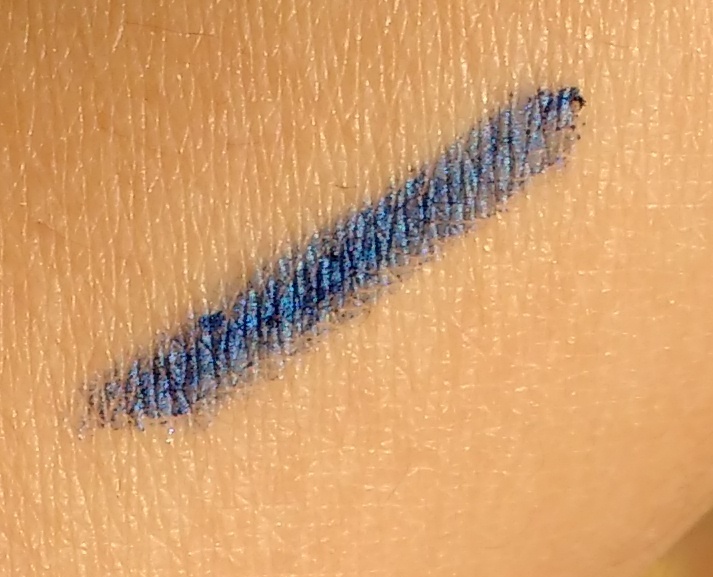 I find it hard to properly apply a thin line with this liner and there is a lot of tugging on my eye lids which is probably due to its texture. The dark blue liner can also be used like an eye shadow for a smokey eye look which is how I use it most of the time but you need to smudge it fast in 30 seconds or so . 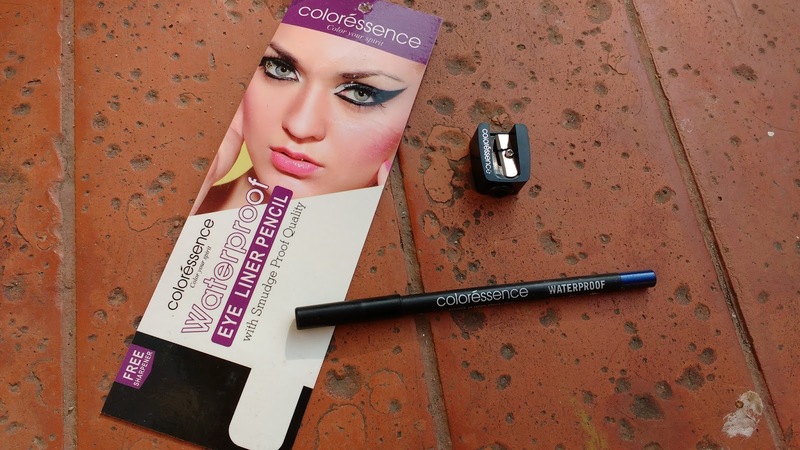 Coloressence eye liner is decently pigmented but you need more than a single swipe for the colour to show up properly on eyes. I havent tried it on my water line so I cant say if it causes any irritation. The waterproof and smudge proof claim is true but you need to give it a minute after application for the eyeliner to properly set after which it easily lasts for about 6 hours on my eyes. If you have oily lids it may fade a little faster. I have washed my face after application and the colour did not budge and you will require a makeup remover or oil cleanser to take it off completely. 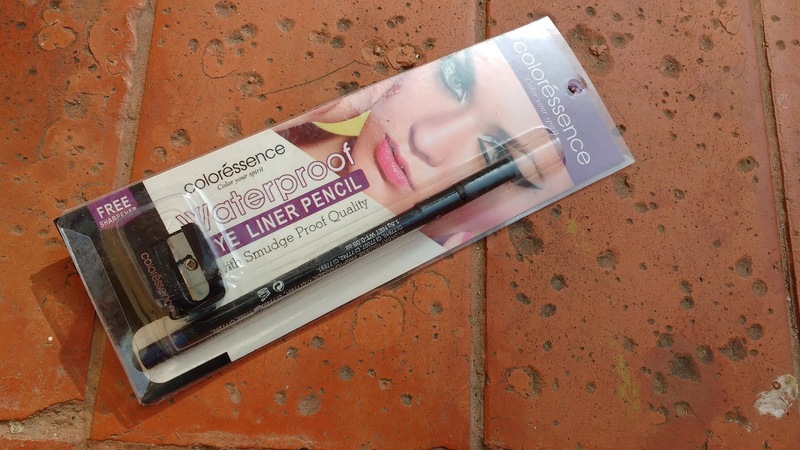 Yes, it is a good budget coloured eye liner if you can deal with texture issues. Overall I love this eye pencil for the gorgeous blue colour and staying power but the texture could have been a bit more creamier.